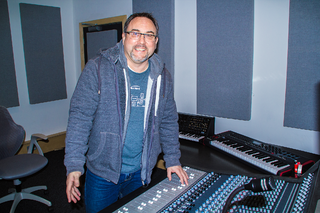 If you've ever wondered what it might be like to study with us at dBs Music then read this fantastic story from our award winning student, Mark O'Sullivan. Mark is due to graduate this year having completed a Diploma at our Bristol Further Education centre and then moving up into our Higher Education facility to complete his BA (Hons) degree. His story is one of many that proves that no matter your age, confidence or qualifications, with hard work we can help you achieve your goals. 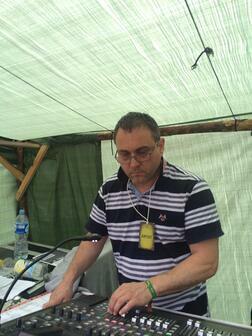 "I have a background as a DJ since 1982. I co-produced with Limahl (lead singer of Kajagoogoo) under the name The Club Crew and co-produced a two records with the F1 Tidy Tracks crew, which were published on Dave Randell’s Chug & Bump label. After performing in front of the public for 22 years I changed direction in 2004 and studied holistic health, massage Reiki and Anatomy and Physiology when I started to become very interested in the vibration of sound and the positive impact it can have, particularly from the holistic perspective. "So it seemed like a natural progression to look into education related to the music industry and to look into something that would deepen my knowledge and understanding of sound. It was September 2013 when I was driving into Bristol, that I noticed the advert for dBs Music on the wall of the further education facility at Temple Meads when I thought I would make an enquiry. After a short interview with Ben Philcox, the centre manager. I signed the paper work and began my education at the FE Facility with a level 3 diploma in Sound Engineering & Music Production commencing Jan 2014. This formed a great foundation covering music production techniques, the sound & music industry, composing music, listening skills for music technologists, music and sound for moving image, sequencing systems and techniques, sound creation and manipulation, the functional music keyboard and contemporary songwriting techniques. "Having done particularly well I was encouraged to go to the next level and enrol on the foundation degree. To be honest I was quite frightened about the prospect of taking on a foundation degree, but the staff reassured me, particularly Alice and Ben who recognised my fear and offered emotional encouragement. So I took the next step. Student finance was available and because I enrolled on the foundation degree I did not have to pay back the tuition fees for the level 3 diploma, which was a bonus. This is when I met the new tutors Will Scott-Cree (a record producer aka Gatekeeper), Kris Burton (previously a sound engineer for Abbey Road & Underworld) and Bruce Turner (Level 8 professional Guitarist and works for Banco De Gaia). "I couldn’t believe my luck! Underworld and Banco De Gaia are some of my favourite top electronic music bands, I played their tunes when I was DJ’ing back in the 90’s. I knew I had made the right choice and immersed myself in their knowledge. Over the next two years, my knowledge of sound deepened and the synapses in my brain were firing off constantly. I attended every tutorial with near 100% attendance, I think I was quite thirsty to learn and not just from the tutors. I was learning new things from the other students too. It was clear their passion for Drum & Bass, Dub, Hip Hop, House, Trance, Techno and Ambient would drive them to become the producers of the future. It is a very encouraging and vibrant atmosphere at dBs Music that supports you all the way. It was here that I found my deepest passion, for sound design and live performance recording. "This is also where, in the final year of the foundation degree I won the API award and a $2000 scholarship. If it wasn’t for dBs Music and their decision to install the API 1608 mixing console and encourage me to do the foundation degree, I would never have had this opportunity to become the first British student sound engineer to win this award. You can imagine my surprise when I received that call from the United States telling me I won. My confidence is developing, my understanding of sound is deepening and the best is yet to come. "I received an email from Toby Marks the director of Banco De Gaia asking me if I was available to work for him as his sound engineer for their Lithuania show. I couldn’t believe what I just read, I was terrified and ecstatic. I was questioning myself, can I do this, can I do this? This is a really big deal taking responsibility for the audio of a very well established band, of course I said yes and thanked Toby for the opportunity but to be fair, it was Bruce Turner of dBs Music who recommended me and I can’t thank him enough. 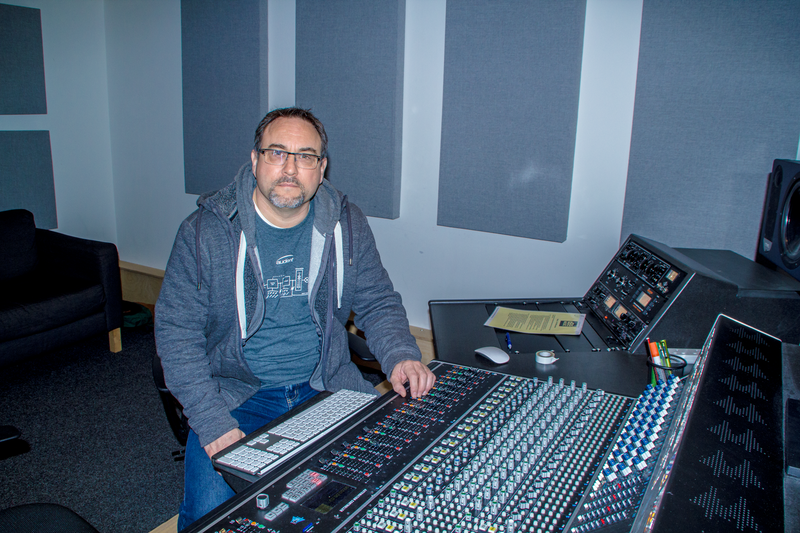 "The gig went very well and I was complimented for the quality of the sound by the customers which is a testimony to the level of tuition I received from the advanced mixing skills module delivered by Kris Burton and the mastering module delivered by Bruce Turner. I continued with my education with the BA Top-Up in Sound Engineering & Music Production and in collaboration with videographers and video editors I have set up a media management and audio production company called Arkam Media for recording live music videos. Although I am quite adept at recording a band in a studio, I prefer to record live on location. My reason for this lies in the ‘live sound magic’ that occurs only in live performances, which cannot be captured in the studio. There is a rawness and an energy that happens when performs play together. You get a sense of the rhythmic bond that exists between the artists, a synchronicity that creates harmonic overtones or wash that only becomes evident when the band performs as a cohesive group. It’s these combined elements that allow for the translation of the energetic imprint of the band to transmit directly to the audience that I love to capture and their viewers love it too. There is no better feeling than watching or listening to a live performance, particularly ones that makes the hairs stand up on the back of your neck. "To date I have recorded The Future Dub Orchestra, Jilk, Nasty Little Lonely and more recently Lazy Daze. I am always on the look out for the next band to record their album, their 4 track e.p, or their single. On a final note, I understand that education can be very expensive and quite a scary thought when it comes to paying back that huge loan. Like most students, I don’t have parents to support me, I am 54 years old and I should be heading for retirement and as a character who lives life on the edge of his nerves, I am terrified about what the future holds, but if I don’t embrace the fear and step through those doors, someone else will and then what will I do. Thank you dBs Music for helping me to develop the tools to unlock those doors and walk through. My learning will always continue..."